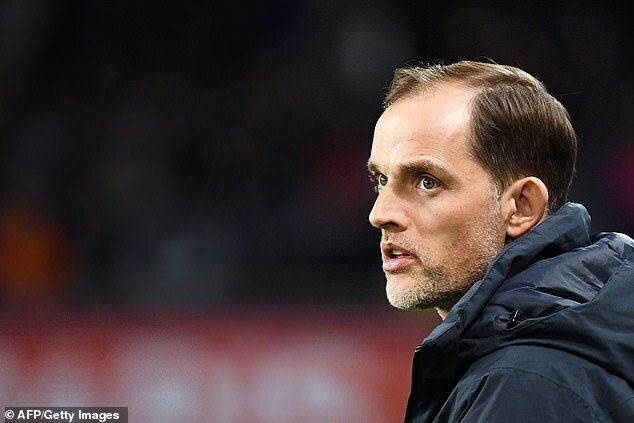 PSG manager Thomas Tuchel said it was ‘necessary’ to rest stars Neymar, Edinson Cavani and Kylian Mbappe as Strasbourg stopped them from securing the title at Parc des Princes. 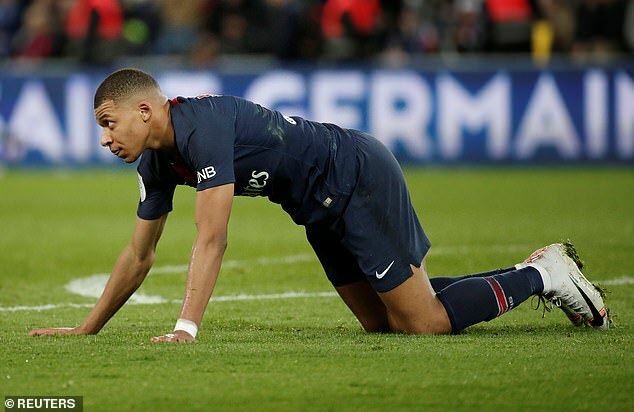 Neymar, Cavani and Angel Di Maria were absent, while Mbappe was named as a substitute for the game, and Tuchel said it was necessary to ‘protect his players’. Speaking to L’Equipe, he said: ‘I don’t like playing without Neymar, Edi, Di Maria, all the players who can make a difference. Tuchel said: ‘I think he’s lacking confidence. He’s not here to start every game but he is at the moment because we have a lot of injuries. ‘It’s not his role. He’s a great substitute. Laurey was quoted in L’Equipe as saying: ‘It was a shame to concede to make it 2-2 with eight minutes left to play. ‘It was a bit like the Alamo, the saves from Matz Sels were necessary and we prayed a little.